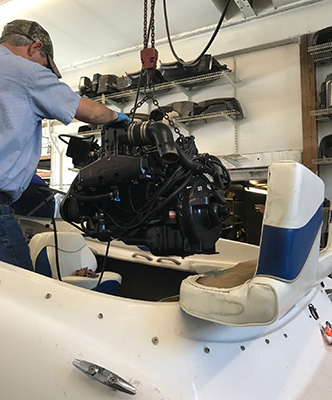 MerCruiser Engine Repair Woodbridge, VA | Harbin Marine repairing, servicing, winterizing boats in Fairfax & Woodbridge VA | outboard engine repair, inboard engine repair, services gas and diesel inboard and outboard motors in Northern Virginia and greater Washington dc area, . boat shrink wrapping, boat winterizing, boat propeller repair, stern drive overhaul, Harbin marine accepts all boat insurance claims. Welcome to Harbin Marine, Inc., the leading Mercury and MerCruiser Parts, Repair, Winterizing, and Maintenance boat dealer serving Alexandria, Arlington, Dumfries, Fairfax, Lorton, Mount Vernon, Occoquan, Springfield, Triangle, Woodbridge, Aquia Harbor, Stafford, and Fredericksburg Virginia since 1972. 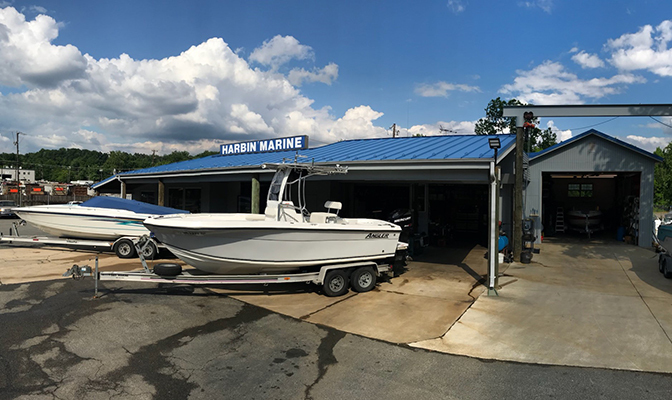 Harbin Marine, Inc. is a full service marine repair facility located on 4 1/2 acres serving Fairfax County, Prince William County, Stafford County, and all metro Washington DC boat owners. 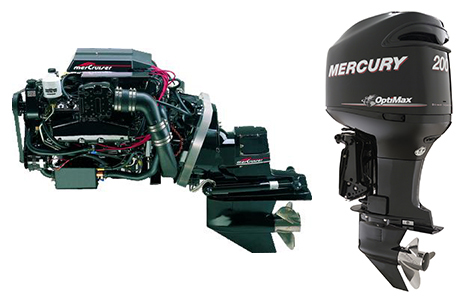 At Harbin Marine, we specialize in Mercury and MerCruiser repair and service. With our Mercury and MerCruiser certified trained technicians, and our commitment to quality, you can always be assured an enjoyable boating experience. We pride ourselves in quick turnaround time for all your boating repair needs. This is made possible through our enormous parts department. Having what your boat needs, makes it possible to get you out there fishing, skiing, tubing, or just all around enjoying, weekend after weekend. We can repower your Mercury outboard or sterndrive powered boat that will satisfy your performance needs and still fit your budget. Let our qualified technicians breathe new life into your older boat! From stern to bow, Harbin Marine, Inc. can do it all.